Damage does not equal pain, this is why scans can be misleading! What your body part looks like while you are lying in a tube does not correlate well with how someone feels and moves. A lot of people have problems found on x-rays and other scans but have no pain or symptoms at all!! Below are some great examples of why we don’t need to be getting too worked up about what our scan results are showing, and how with the right treatment and mindset, you can beat your pain! In most cases, people will describe their pain as having varying intensities, and at times it is not there at all, which is great! This means there are times when your nervous system is happier than the times you are feeling the pain – These “happy” periods can be extended. In terms of a scan, even when we are in these happy, pain free zones, an MRI or X-Ray will still look the same as when you are in pain, so you can live comfortably and pain free with your scan still looking like it does! Degeneration is a term used to describe “wear and tear” that our body and its joints naturally experience through living life! Degeneration begins to appear even in our late 20’s (pain free individuals included!). If you have one sore knee and one pain free, studies have shown that the “good” knee will show just as much degeneration, sometimes more, than the other knee, as they are both the same age and likely to have done similar amounts of work, so why would only one knee be sore if degeneration is the source of pain?? It has been shown that up to 87% of people in their 20’s had disc herniation’s/ protrusions, highlighting that this sort of movement or change to the disc is considered quite normal! Many people live with these things every day and have never had a painful back. So a disc bulge seen on CT scan or MRI is not a recipe for long term back pain. Nerves are very strong, resilient structures, but can be very sensitive when aggravated. They are designed to be stretched, squashed and moved in all directions, so a “pinched nerve” seen on MRI/CT may not be the main source of pain. We sit on our sciatic nerve all day, and stretch nerves every time we bend and twist, and the majority of the time – no problem. Whatever our spine looks like on an MRI, chances are it looked like that the day before you had pain as well, as these changes take years to develop, as long as there was not a major trauma or incident. 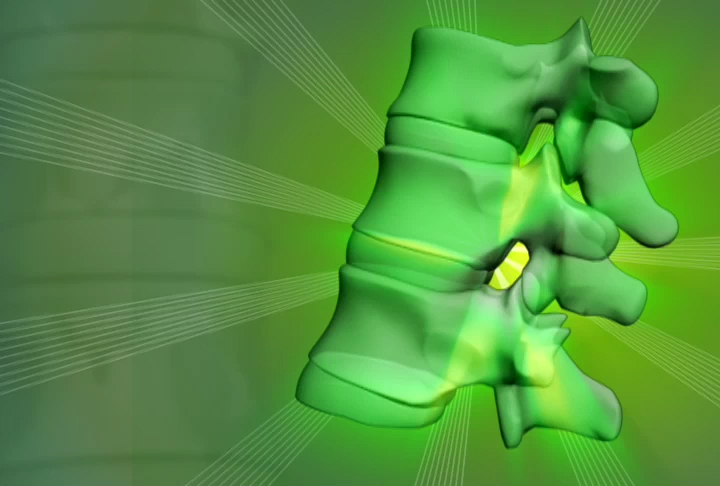 What all of this tells us is that what we see on a scan may not be the actual cause of your pain. At Willunga Physio we look at your whole body the ‘whole picture’ to locate the source of your problem. We check every muscle, joint, action and nerve that may be contributing and fix the cause of the problem.